In the digital landscape a new reality has started to shine by itself: the ubiquitous computing. The challenge is no longer to add a new digital object to our list of tools, but to dote faculty of processing data to our domestic elements. Ubiquitous computing proposes natural and constant interaction between users and environment, extending its influence in all fields of human phenomena, even in the more domestic and primary one: our body. Reshape focuses on the definition of this language, proposing a new challenge to makers and designers: RESHAPE15 | wearable technology competition. Proposals will focus on the possibilities of wearable technology without any design limitation. Once again Reshape leaves to designers freedom and responsibility of their own choices. Nonetheless, all submissions must reflect the mission of Reshape: merging ideas with fabrication processes and market viabilities. Fabrication strategies must be clear and reasonable, demonstrating a real control of the production process. The distributed network of fabrication of Reshape includes Fab Labs and Maker Space, all equipped with digital fabrication machines such as laser cutters, 3d printers, milling machines and robotic arms. Entries are required to rely on those machines as main tools for the fabrication process. Assembly method and production costs will also be taken into consideration in the evaluation process. All winning proposals will be awarded according to the prize pool. In addition to the economical prize, Reshape offers a unique e-commerce platform * where the best design proposals will be presented and launched into the market. Designers will have then the possibility to sell their own products promoting their design on the international platform of Reshape. (*) Reshape reserves the right to select the projects for the e-commerce platform. Reshape is very pleased to introduce the international jury of the competition. Will be given significant attention to those projects that reconsider the idea of conventional contemporary clothing in an inventive and experimental way, reconsidering interconnections between users, environment and data. The design approach must present a clear fabrication strategy relying on design solutions to digital fabrication tools available in a Fab Lab or Maker Space, as Reshape target is to merge both DESIGNING and MAKING. It is crucial to consider design and fabrication solutions economically feasible, giving a reasonable estimation for the overall design proposal and its marketability. 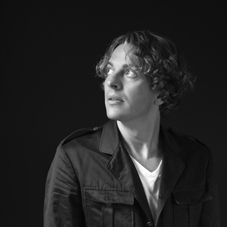 Ronen Kadushin is an Israeli designer and design educator living in Berlin. He established the Open Design production company for furniture, lighting and accessories, where the design of his products can be downloaded, copied and produced. He is also the author of the Open Design Manifesto. 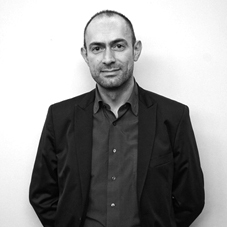 Alessio Erioli is Engineer and Senior Researcher at Università di Bologna, MArch in Biodigital Architecture, PhD in Architectural Engineering, as well as a computational designer and founding partner of Co-de-IT. He has lectured at (among others) IAAC, AA Visiting school Paris and Dubai, TU Innsbruck, KTH Stockholm, UNI Stuttgart, Accademia Belle Arti Bologna. 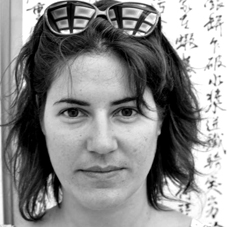 Anastasia Pistofidou is a Greek architect specialized in digital fabrication technologies, design and education. 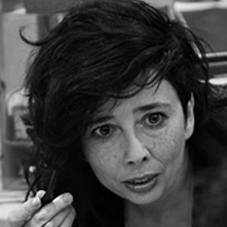 She has graduated IAAC in the platform of Digital tectonics and has a Bachelor Degree from the Aristotle University of Thessaloniki currently works for IAAC. Elizabeth E. Fraguada is a fashion & costume designer / textile technician utilizing her 14 years of professional experience to explore garments using technology that are wearable beyond the runway. 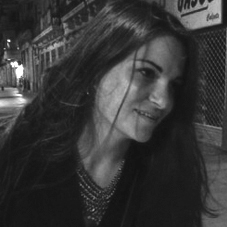 Elizabeth founded design studio, Jorge & Esther in 2010, and is currently the Design Director. Zoe Romano has a degree in philosophy, and has participated in initiatives of social activism such as San Precario and Serpica Naro. She co-founded the project of collaborative fashion Openwear.org and Wefab. She recently co-founded Wemake.cc, a fablab and makerspace in Milan and since she works on the digital strategy and wearables for Arduino. 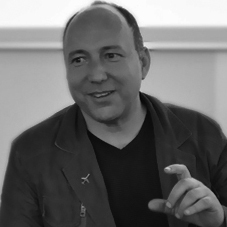 Niccolò Casas is a designer, architect and professor. His bachelor at the Bartlett School of Architecture focused on Catabiosis as aesthetic of (high) entropy. He has collaborated with 3D System and Iris van Herpen. His work highlights the convergence of architecture, art and fashion via the application of emergent digital technologies and additive manufacturing. 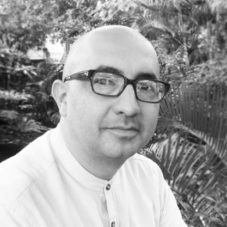 Martìn Rodriguez Montoya is an Industrial Designer from the Pontificia Boliviariana University from Medellín (UPB) and a specialist in Creative Intervention from Colegiatura Colombiana. He is the author of Ten Project Processes and Body Constructions. He has worked in furniture and interior design, shoe, jewelry and graphic design, costume design and architecture.